The Eden Estuary that borders the world-famous St Andrews Links is an important site for nature, designated for its local, national and international importance. 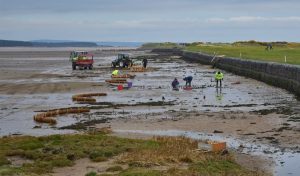 St Andrews Links is working with Dr Clare Maynard of the University of St Andrews, along with Fife Coast & Countryside Trust (FCCT) and Scottish Natural Heritage, to restore the Eden’s valuable saltmarsh habitat. 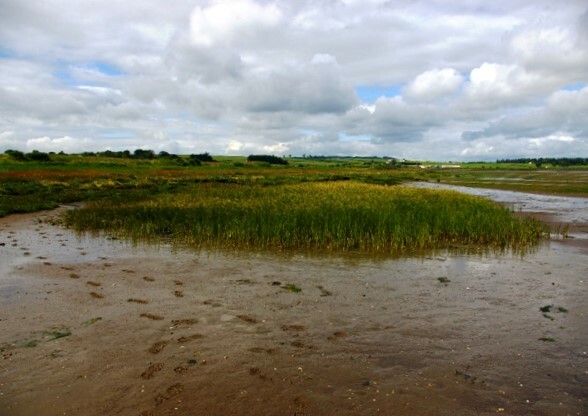 Here Clare explains why saltmarsh is worth restoring. Saltmarshes that border valuable land provide wildlife with habitat and protect the land from coastal flooding and erosion. Unfortunately, the latter is a problem all too common when walking along an estuary shoreline. Embankments or sea defences without a saltmarsh on the seaward side are pounded by waves and tidal currents, which over time can fail. 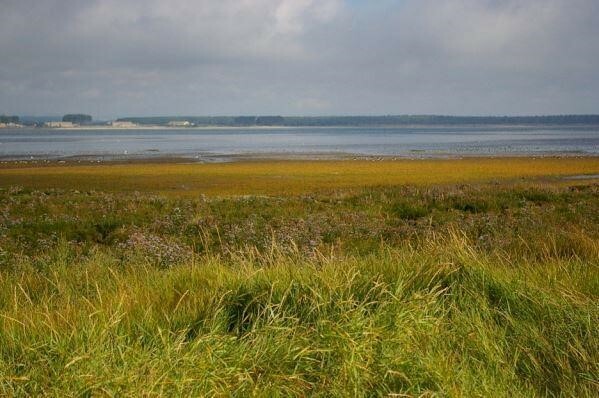 Those with fronting saltmarsh tend to be more robust and have a longer lifespan, but shoreline erosion and climate change are placing saltmarshes under increasing threat. The Links, along with the University of St Andrews, FCCT and other government agencies, began many years ago investing in the saltmarshes of the Eden Estuary, recognising the need for landowners, research, management and government to work together to help develop more natural coastal defence practices, otherwise known as ‘soft’ or ‘green’ engineering. 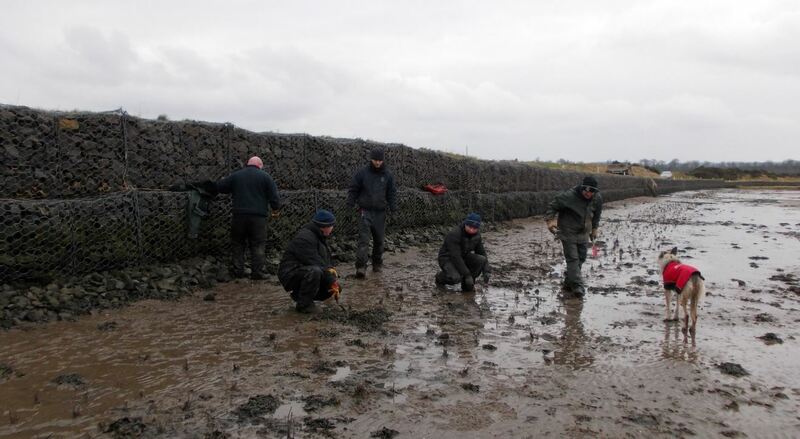 The work involves planting transplants from healthy marshes into degraded sections of shoreline. 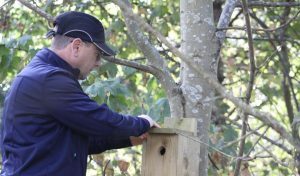 This has involved greenkeepers from the Links, students, local nature officers and the public lending a hand, often working in cold, wet and muddy conditions. From these field trials, we have developed a dedicated coastal plant hub, tucked away in a utility area beside the Eden Course. 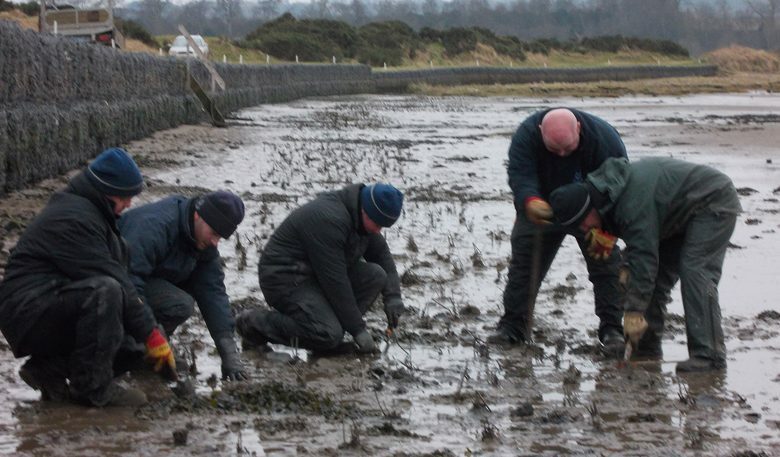 Saltmarsh and other coastal plants for restoration will be grown in this facility – a first in Scotland – and local communities will be engaged and informed about the benefits of saltmarsh and habitat restoration. Together we will demonstrate the considerable benefits of restoring fringe saltmarshes to our estuary shorelines. Restoration could be a significant tool to lower flood and erosion risks across Scotland’s vulnerable shores, now and increasingly in the face of growing climate change risks. July 2015. 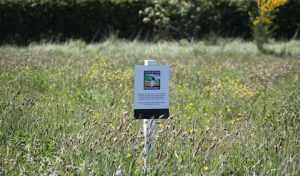 A thriving Sea Club Rush plot originally planted in 2003 on the seaward edge of the Eden Course. 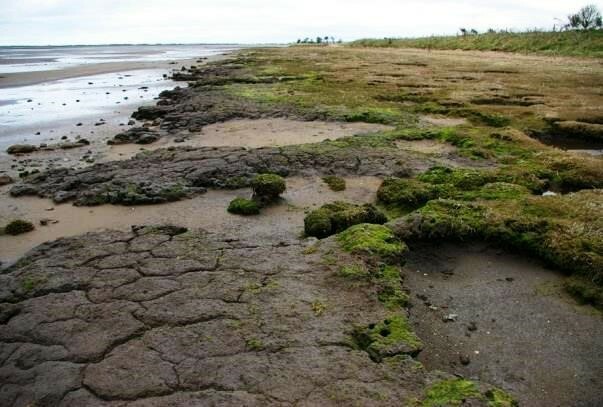 The rapidly degrading strand of natural saltmarsh has since recovered. All images © Clare Maynard.